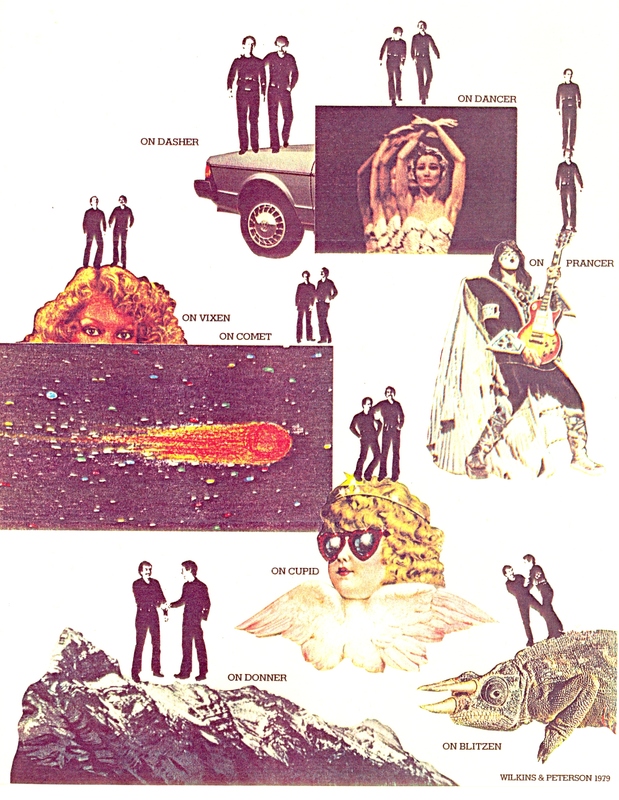 Collage by graphic design firm Wilkins & Peterson, 1979. Series 278, King County Arts Commission, Earthworks Symposium administrative files, box 5, folder 7, King County Archives. This collage is the work of artists Tommer Peterson and Warren Wilkins, who contracted with the King County Arts Commission to provide graphic design for its 1979 Earthworks Symposium. The Earthworks Symposium commissioned internationally recognized artists to develop designs for large-scale sculptures, transforming “blasted landscapes,” such as former mining sites and landfills, into public art that would double as open space. 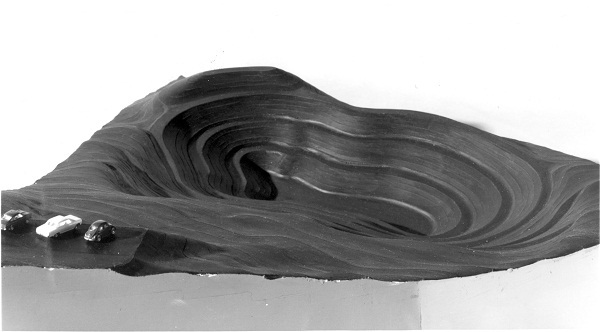 Model for Untitled Earthwork (Johnson Pit #30) by Robert Morris, 1979. Series 1747, King County Department of Transportation, Road Services Division, Project files: Robert Morris earthwork 1979-1999, King County Archives. One Earthworks artist proposed digging into the earth and installing a thick glass wall to reveal a cross-section of a half-century’s worth of garbage accumulated in a former landfill, near what is now Seattle’s University Village. Another envisioned an earthwork that would be sculpted out of a gravel pit in south King County as it was being excavated, with cooperation from the mining company. Regardless of how, or if, each of us celebrates this season, let’s root for a 2017 that brings some room for play and imagination. Happy Holidays from all of us at the King County Archives. 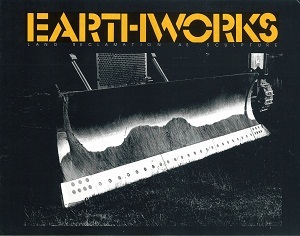 Earthworks poster designed by Wilkins & Peterson, 1979. Series 278, Arts Commission Earthworks Symposium Administrative Files. box 5, folder 3, King County Archives. The King County Archives’ 2013 exhibit, King County Earthworks: Land Reclamation as Sculpture, describes the history of the Earthworks Symposium and presents images of artists’ drawings and models along with photographs of proposed earthwork sites, artists, and construction of the Morris earthwork. The exhibit also incorporates video clips from interviews with artists Beverly Pepper, Richard Fleischner, Dennis Oppenheim, and Lawrence Hanson discussing their concepts, as well as artist Robert Morris’s symposium keynote address. The complete videos, converted to digital format from 1″ analog tape, are available on our Vimeo site.